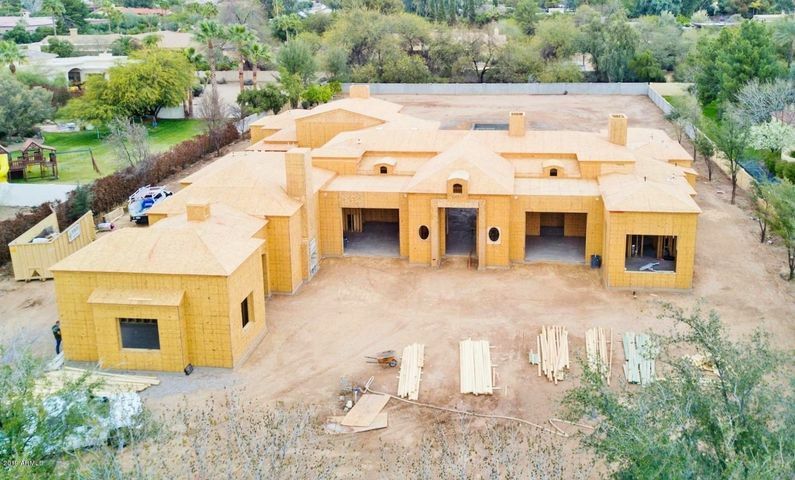 Brand new FRENCH COUNTRY estate currently under construction on a rare 1.5 ACRE LOT situated on a quiet cul-de-sac street in the heart of Paradise Valley. 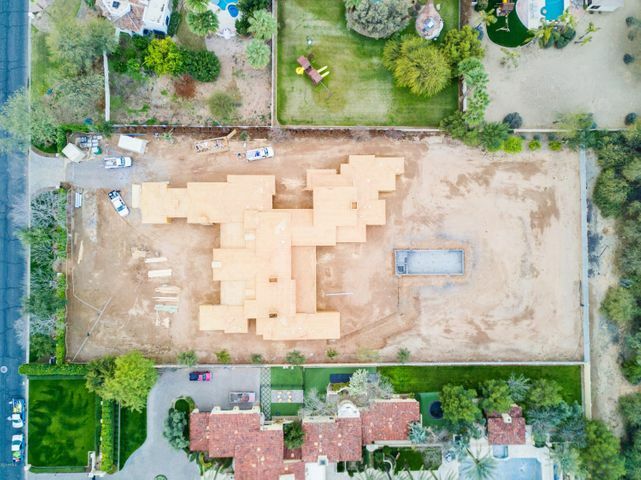 A collaboration between Candelaria Design, Argue Custom Homes, Hasbrook Interiors, and Refined Gardens, this must-see GATED and completely walled masterpiece offers an exclusive and private setting. 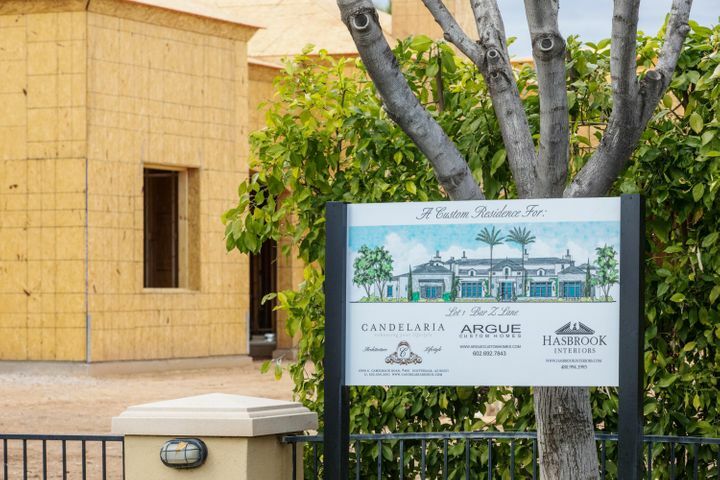 A modern take on this traditional architectural style mixes timeless exterior features – stucco and brick facade, circular driveway and a porte-cochere – with a clean, crisp, refined yet comfortable interior with light and neutral color tones and numerous rooms opening to quaint courtyards or covered patios. Enjoy lush landscaping, MATURE TREES, an oversized pool, spa and an EXPANSIVE BACKYARD that offers endless options. Cove, coffered, and groin vault ceilings, reclaimed wood beams, French oak wood floors, marble master bathroom finishes, marble checkerboard flooring in the kitchen, stone and porcelain secondary bathroom finishes, and a Wolf/Subzero appliance package highlight some of the impressive interior design elements and amenities. The great room features a generous bar offering indoor/outdoor seating and entertaining with its own adjoining courtyard. The dining room features a wine room, and the kitchen offers a spacious prep kitchen/butler’s pantry as well as a generous and sunny breakfast room. 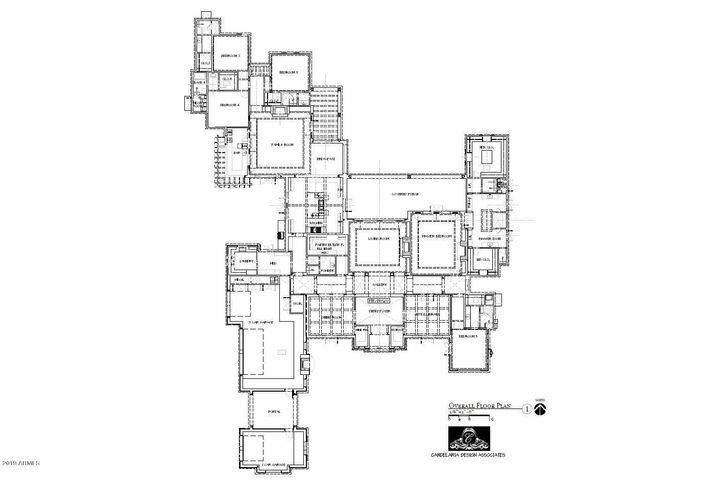 Other highlights of this sophisticated floor plan include: a kids’/guest wing offering 3 bedrooms with ensuite bathrooms and walk in closets; his and hers master closets; his and hers toilet rooms; a mud room; 3 interior fireplaces (living room, family room and master bedroom) and an exterior fireplace in the front courtyard. Tall hedges line the front of the property, creating immediate natural privacy. This masterpiece was designed with the ultimate entertainer in mind. There is still an opportunity to personalize many of the finishes. Hurry – this phenomenal custom estate won’t last!